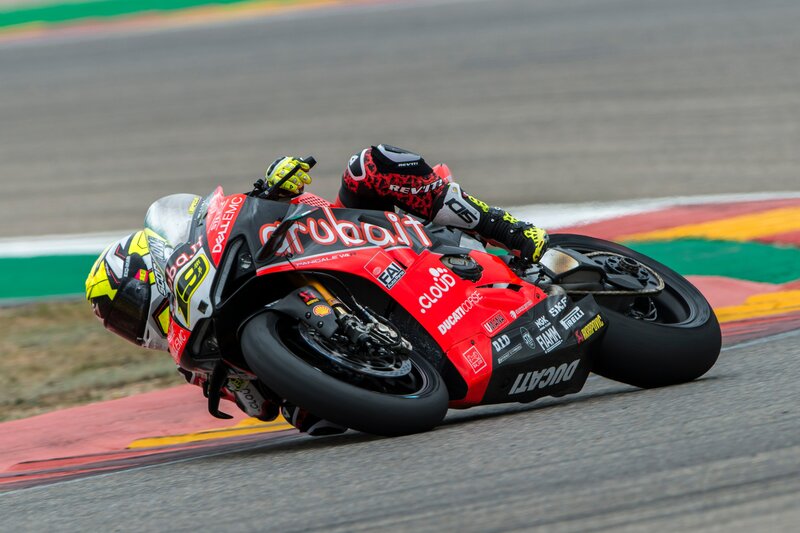 The third World Superbike round of the season began well for Álvaro Bautista, who immediately proved to be right on the pace in his home race with the Ducati Panigale V4 R. In today’s two free practice sessions, the 34-year-old Spanish rider was the only man to get under the 1’50 mark when he set a lap time of 1’49.692 in the morning FP1, and he then shaved off a few hundredths of a second in the afternoon run to finish the day on top with a time of 1’49.607. Team-mate Chaz Davies started the day well with fourth-quickest time in the first free practice session in 1’50.920. For the afternoon, the Welsh rider made a few small modifications to the bike to try and further improve on his time, but his effort came to nothing in the last few minutes when the rain began to fall. Chaz ended the first day of practice in ninth place overall.